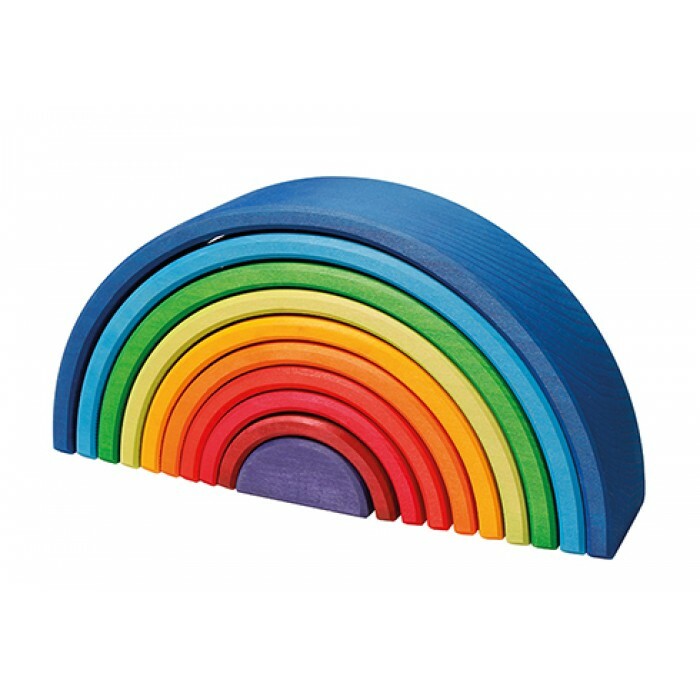 Each tree tapers upwards and so the 12-piece rainbows are made from the lower trunk and the 10- and 6-piece rainbows from the upper part. 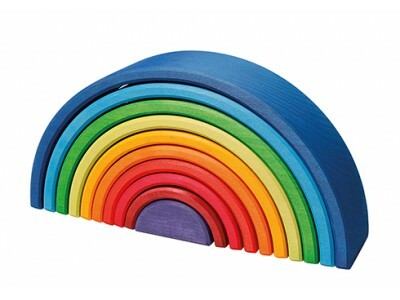 Each of our rainbows is cut out by hand from a single block of wood - arch for arch. This versatile toy offers endless opportunities for openended play and will be rediscovered over and over again throughout childhood. On Instagram you will find a lot of stories around our rainbow family using @grimmswoodentoys or #grimmsrainbow shared by enthusiastic parents. Perhaps we will meet you there?